Foster Realty was established in the late 1970's by Larry Foster, a longtime local realtor from Nova. 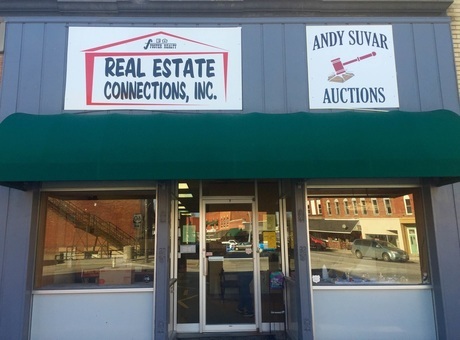 Larry sold the company to Andy Suvar in 2007 and it then became Foster Realty, Real Estate Connections. We are still doing business at 6 South Main Street, New London, as we have for many, many years. We are a full service real estate and auction company. We have 2 licensed auctioneers on staff as well as 6 licensed Realtors that will be more than happy to answer any of your questions or help you buy or sell your property.